Comprising a contemporary office building, landmark residential tower, cafes, bars and restaurants, Principal Place is set in the Un-Square mile of Shoreditch, East London. This impressive project required busy washroom areas to be fitted with an unerring attention to design detail alongside the practicalities of hygiene and maintenance. 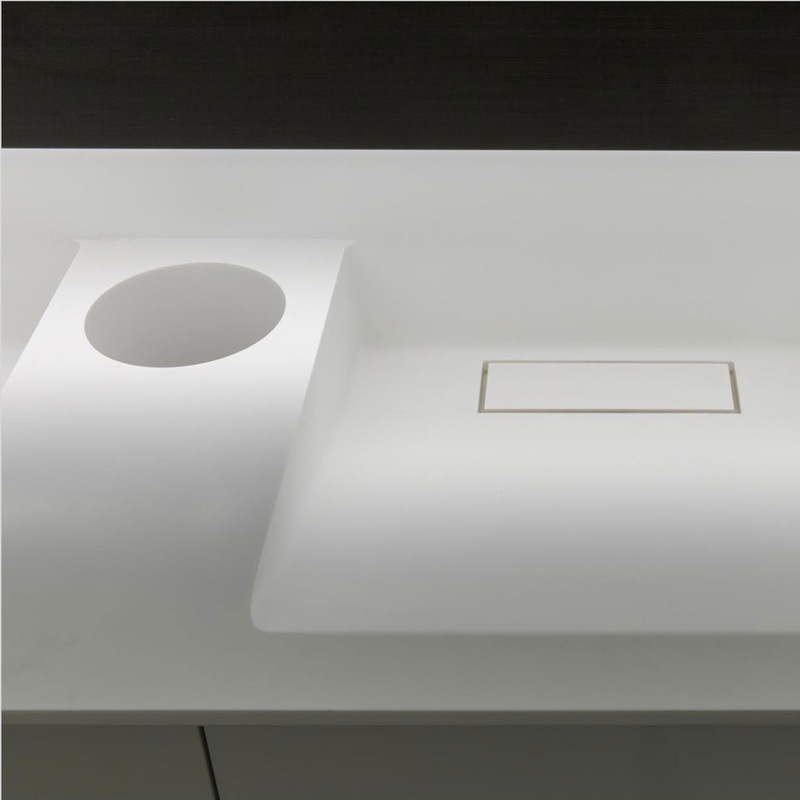 Knowing that we were a DuPont Company and were Corian suppliers, they opted for pure white Corian wash troughs in the washrooms.